Johann Sigismund Kusser/ed. 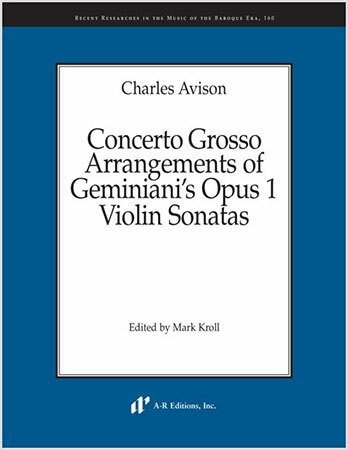 Owens - A R Editions, Inc.
Philippe Courbois / Michele Cabrini - A R Editions, Inc.
Francesco Gasparini/ed. Navach - A R Editions, Inc.
Francesco Gasparini/ed. Navac - A R Editions, Inc.
Giovanni Maria Ruggieri/ed. 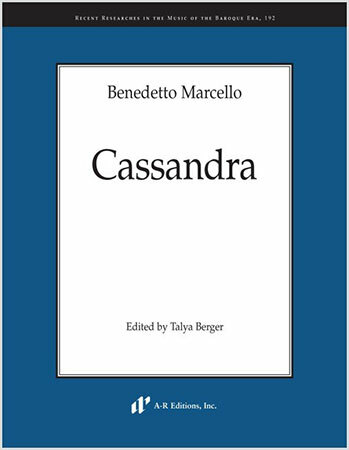 Jasmin Melissa Cameron - A R Editions, Inc.
Benedetto Marcello/ed. Talya Berger - A R Editions, Inc.
Juan Hidalgo/ed. Louise K. Stein - A R Editions, Inc.
Edited by Louise K. Stein. An opera in three acts. This edition is based on manuscripts held in Evora and Madrid. 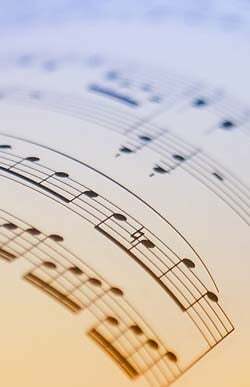 From the series Music of the Baroque Era, Vol. 187. Santiago de Murcia/ed. 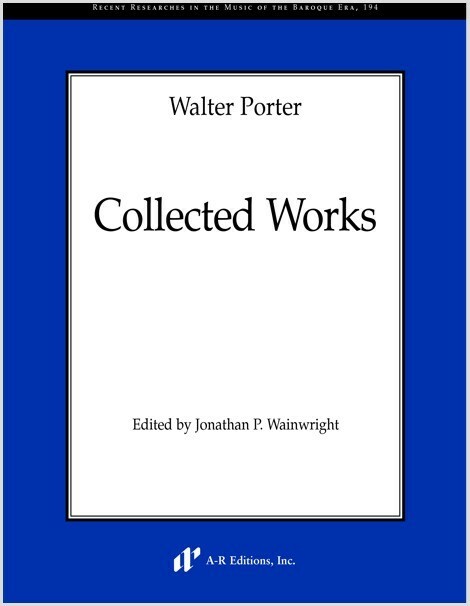 Vera - A R Editions, Inc.
Walter Porter/ed. Jonathan P. Wainwright - A R Editions, Inc.
Natale Monferrato/ed. Jonathan R.J. Drennan - A R Editions, Inc.
Loreto Vittori/ed. 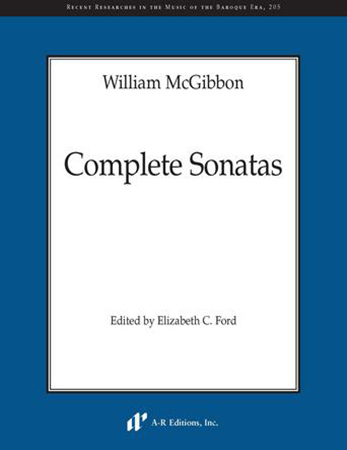 Thomas D. Dunn - A R Editions, Inc.
William McGibbon/ed. Elizabeth C. Ford - A R Editions, Inc.
Santiago Billoni/ed. 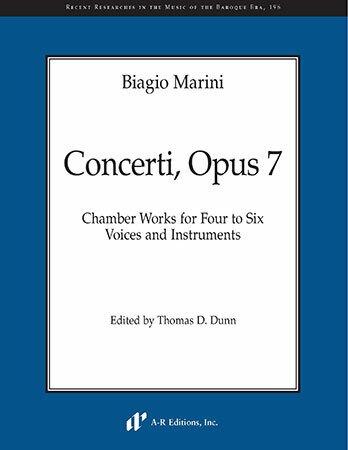 Davies - A R Editions, Inc.
Biagio Marini/ed. Dunn - A R Editions, Inc.
Alessandro Scarlatti/ed. 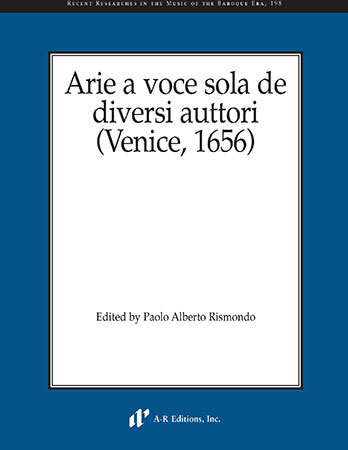 Libera - A R Editions, Inc.
Biagio Marini/ed. Thomas D. Dunn - A R Editions, Inc.
Charles Avison/ed. Kroll - A R Editions, Inc.
Tarquinio Merula / Phoebe Jevtovic - A R Editions, Inc.
Daniel Eberlin/ed. Michael Wilhelm Nordbakke - A R Editions, Inc.
Andreas Hammerschmidt/ed. Tilley - A R Editions, Inc.
Gottfried Henrich Stoelzel/ed. Unger - A R Editions, Inc.
Andrea Cima/ed. 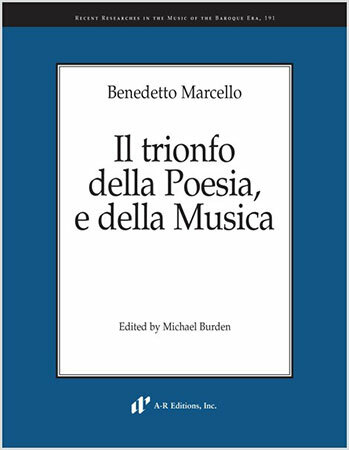 Christine Suzanne Getz - A R Editions, Inc.
Benedetto Marcello/ed. Michael Burden - A R Editions, Inc.
Edited by Michael Burden. An oratorio in two parts. Includes facsimiles, critical report and appendix. 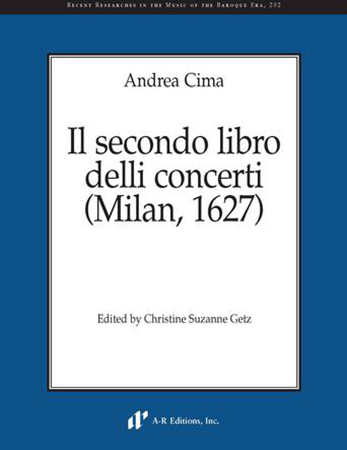 From the series Recent Researches in Music of the Baroque Era, Vol. 191. Score, 274 p.